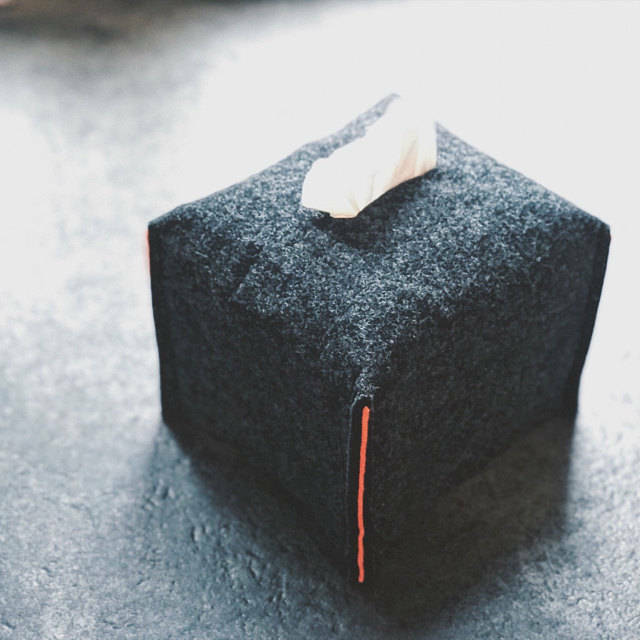 Square tissue box cover made of felt. 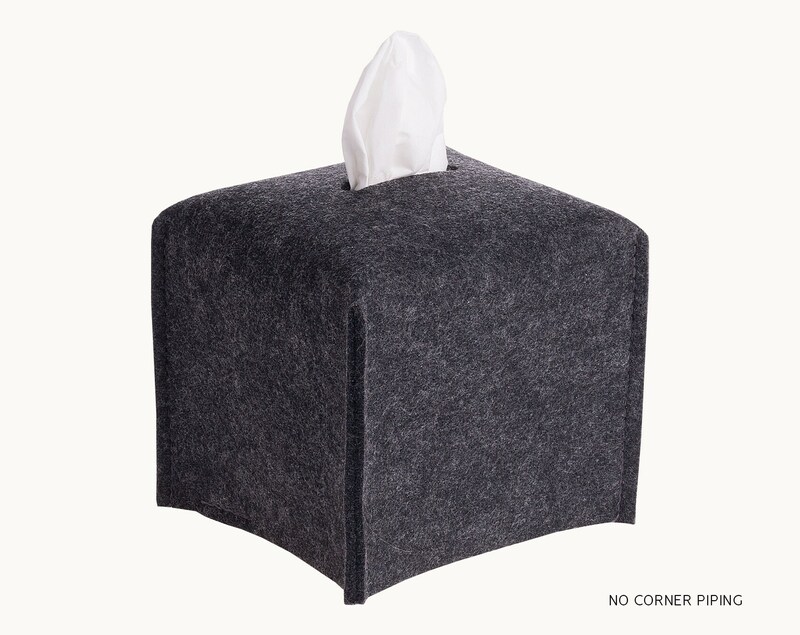 Perfect for upright tissue box from Kleenex. 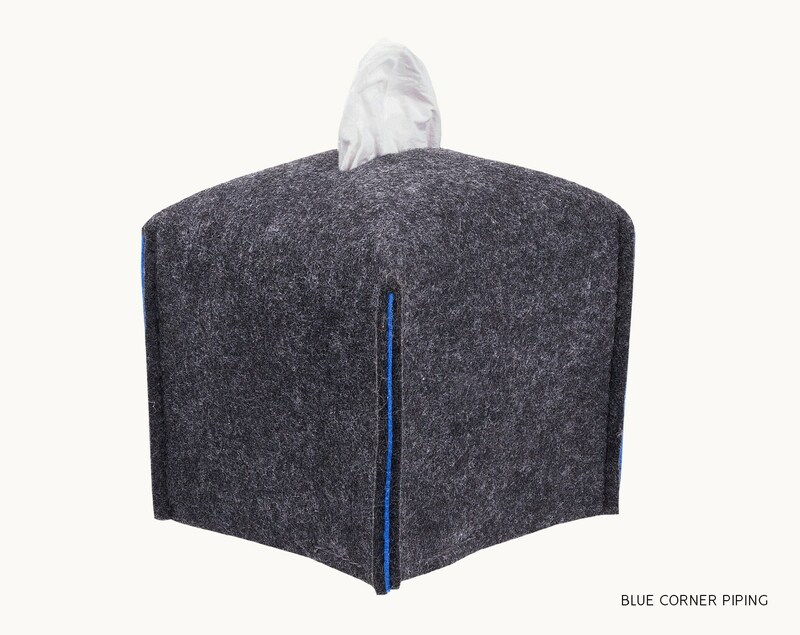 You can change the color of the corner and make this Kleenex napkin holder tailored to your taste. Are you looking for housewarming gift or dorm room decor? They are smart, inexpensive and and you can get them in a few days only! Many of my clients use them to attract more guests in their Airbnb apartments. This handmade living room decor will surely suit any interior design! Is also a great proposition for those who like simple office decors. 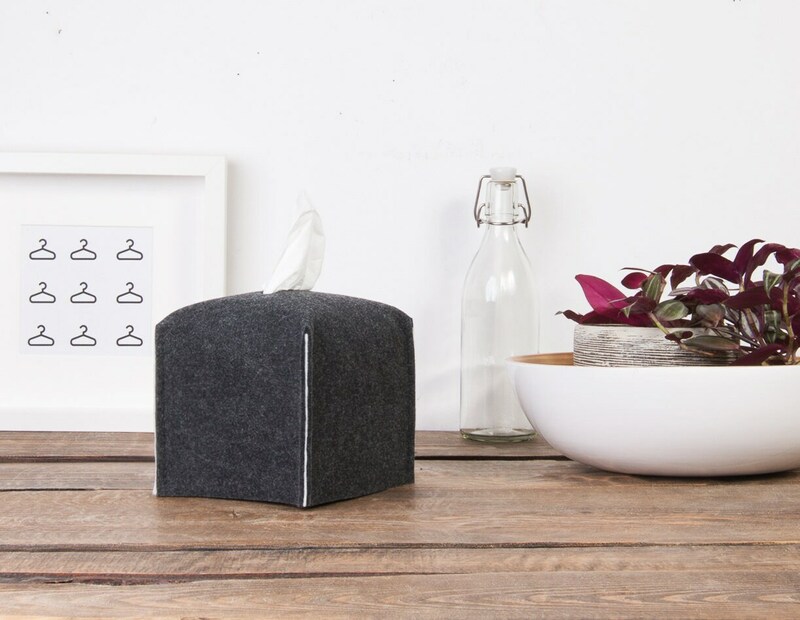 Great for Kleenex Cube Box. 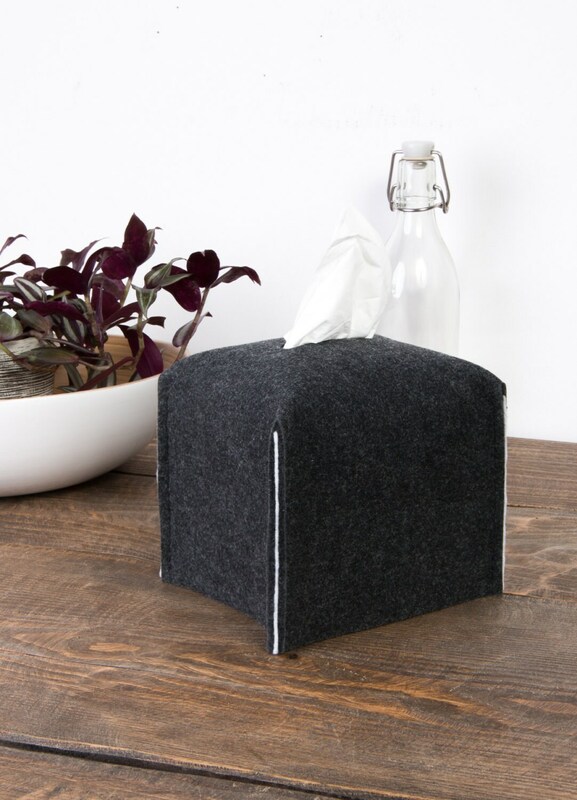 Free size adjustments for other tissue boxes. Magda was great to buy from. She communicated immediately about shipment and the item was received much faster than expected. Would definitely buy from POPEQ again. I have bought four. Three for me. 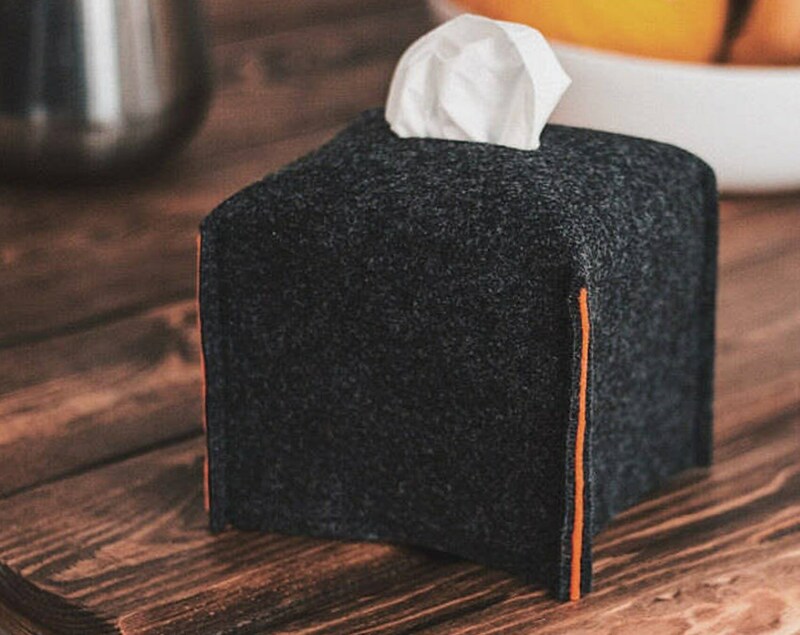 One as a gift for a friend who hates tissue box designs even more than me. Great quality. 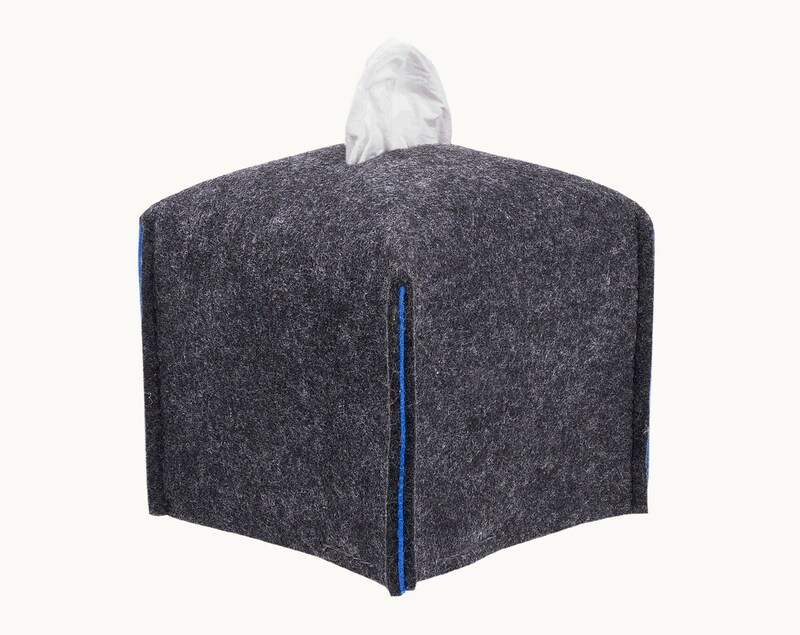 Fast shipping perfect size.